Each and every year, about three or four things take the hair and beauty industry by storm, in the last couple of years its been eyelash extensions & Minx and before that, GHDs. Well this year, gel manicures are tipped for the top. 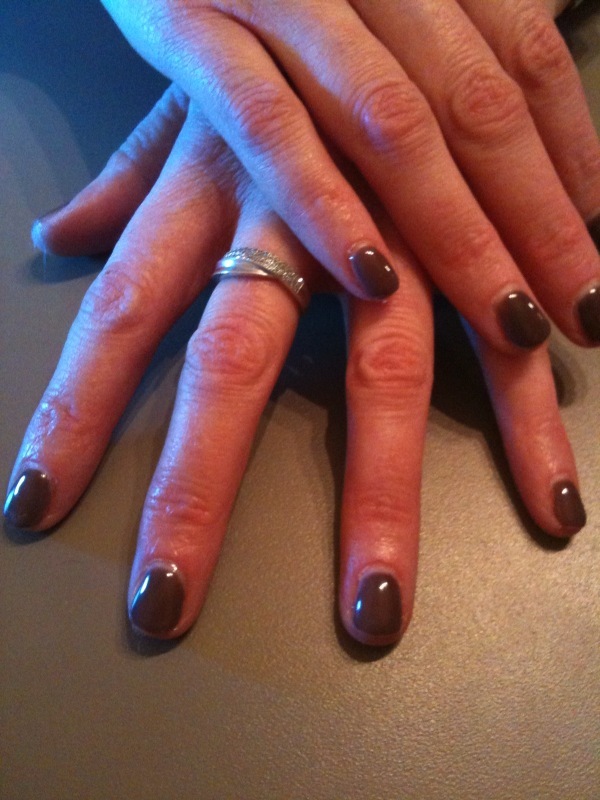 UV cured, the coloured gels are immediately dry and as you stand up from the manicure desk, you dont have to worry about smudging them on your coat and purse or that getting your car keys out is going to ruin them. 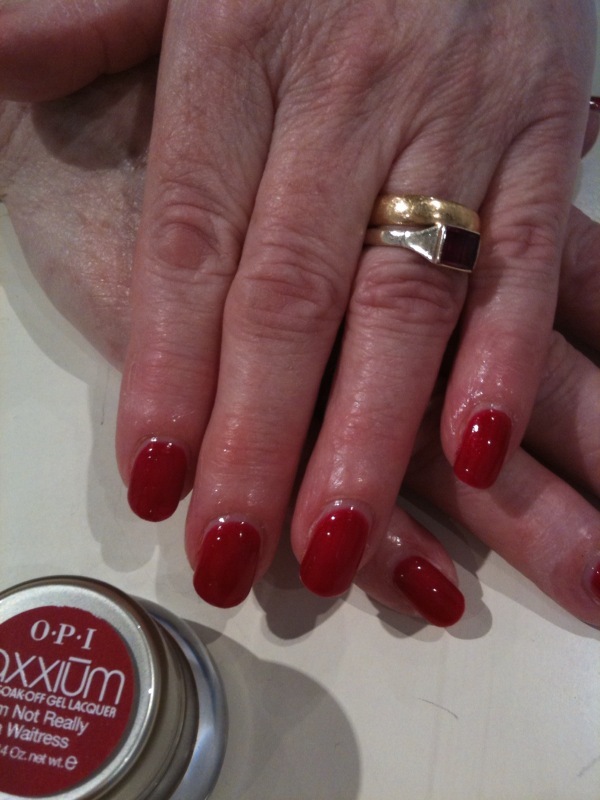 We use OPI Axxium in OMG and our clients love it. I think its going to be especially popular for holidays as you can go away and not worry that stubbing your toe in the swimming pool or walking through golden sand on the beach, will ruin your toe nails. I always find, sods law, that I manage to chip my nails at the airport, me and suitcases dont get along! Heres a couple of piccies of our 2 week gel manicures at OMG. I think this is a really interesting video of how one of Diors eyeshadow palettes are made BY HAND!!! I love the colours too! Only thing I worry about if I had one was not wanting to use it as it would get ruined! I think its one for my collection, so that in 30 years time, a really beautiful collection could be showcased. We are sooooooooo delighted to win Professional Beautys Best Small UK Employer award! This is the second year we have won this award and I know that only the best made it to the finals so it makes this an even better achievement. It was all a bit surreal, our award was the first one up, so I didnt get chance to suss out what was going on and then when we went on stage to collect the award and I was asked to say a few words, I was really unprepared. I did the usual, thanking everyone and nearly ended up doing a Gwyneth at the end - but I just about held it together! This award recognises business performance, staff training, development, motivation, leadership, marketing and communications, so no mean feat to win it! So I continue to wake up each morning, glad to be going in to do the job I do, and so so so proud of OMG and all my team.